Pearl series freestanding bathtub combines the traditional freestanding design with a contemporary touch of simple forms and shapes. Quick and easy installation. Freestanding for versatile installation. 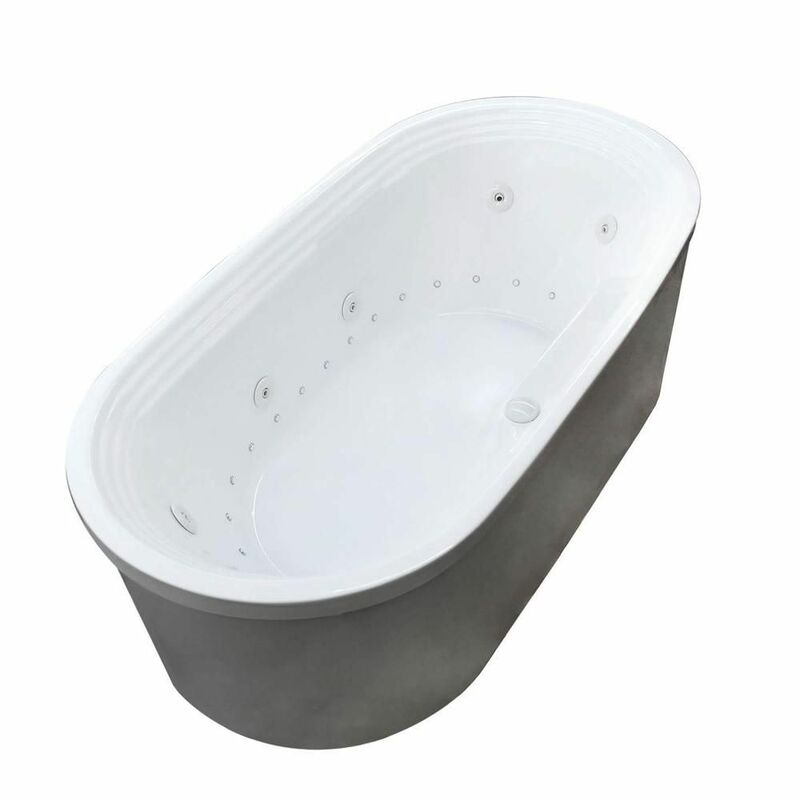 SLATE FREE STANDING BATH - CF1016 - bath white only, Dimension: 66 3/4 inch x 31 1/2 inch x 24 inch, Vacuum formed acrylic reinforced with fibreglass, Scratch, stain and fade resistant high gloss finish, Includes a steel frame with levelling feet, Includes an integral slotted waste and overflow. REFER TO INSTALLATION INSTRUCTIONS SUPPLIED FOR ADDTIONAL INFORMATION. SYBIL FREE STANDING BATH - FSW102 - bath in high gloss white only, Dimension: 62 1/2 inch x 28 1/4 inch x 27 1/2 inch, Azure solid surface freestanding collection is manufactured with both natural stone and manmade materials. Ingredients are mixed to provide an ultra-smooth, high gloss, non-porous, solid and durable surface, Scratch, stain and fade resistant, Includes levelling feet, Includes an integral "push up" drain with slot design overflow, both in polished chrome. REFER TO INSTALLATION INSTRUCTIONS SUPPLIED FOR ADDITIONAL INFORMATION. Pearl 5 Feet 7-Inch Acrylic Oval Freestanding Whirlpool Bathtub in White Pearl series freestanding bathtub combines the traditional freestanding design with a contemporary touch of simple forms and shapes.